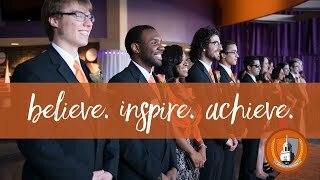 We are looking for a diverse group of students who are passionate and intelligent, possess a strong work ethic, have distinct voices, and desire to engage the Buffalo State community and honor Dr. King by considering his life’s work and legacy through the artistic lens of a master craftsman, OyamO. No performance experience is necessary. Preparation: (1) A limited number of perusal scripts will be available in the Theater Department, Savage Building 222. Please see Theater Department secretary Kim Taylor to sign out a script for 24 hours. Students who keep a script for more than 24 hours will not be able to audition. This is designed to give everyone the same opportunity to consider the text and gauge their interest in this project. (2) Sides (selections from the play that you will be asked to read during the audition) can be picked up in the Theater Department. The commitment: There will be five rehearsals and two Bengal Pause time slots for this event. If you have conflicts with our rehearsal times, you are not eligible for this project. Please check the dates carefully before auditioning.